With its jet-black finish, unassuming geometry, and absolutely silent ride, the Priority 600 commuter bicycle won’t turn many heads. But it quietly houses the latest in cycling tech and boasts Porsche DNA. Don’t judge this book by its cover. That could easily be the marketing slogan for the Priority 600 All-Road bicycle. Launching today, the 600, like all of Priority’s bikes, has the recreational rider in mind. It’s designed to be simple to ride and easy to maintain, free from all the hard-to-pronounce extras that make high-end bikes intimidating. But while the 600 looks like a friendly, everyday grocery-getter, Priority designed and built this machine with some serious tech. 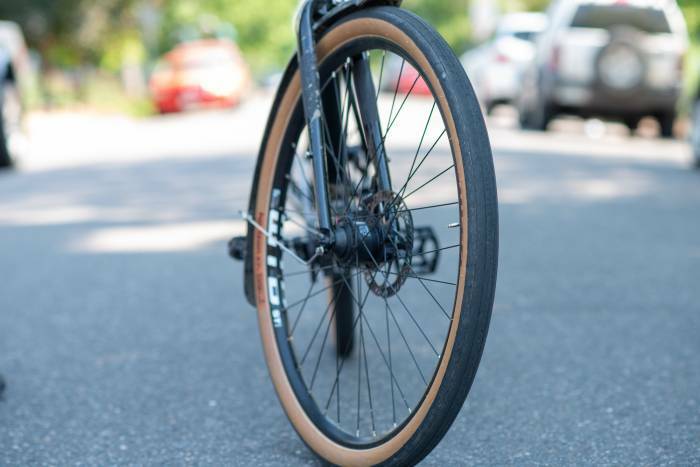 A Gates belt drive turns the tubeless-ready tires, hydraulic disc brakes stop them, and a hub-powered dynamo provides always-ready power to the built-in lights. The real prize, however, sits inside the steel frame. Priority outfitted the 600 All-Road with a 12-speed Pinion gearbox conceived by Porsche engineers. The whole ensemble adds up to a capable if understated ride. For the last month, we’ve been riding the 600 through downtown city commutes and creekside bike trails to see how much performance is packed into this Priority. In short: The 600 All-Road is a lot of bike. 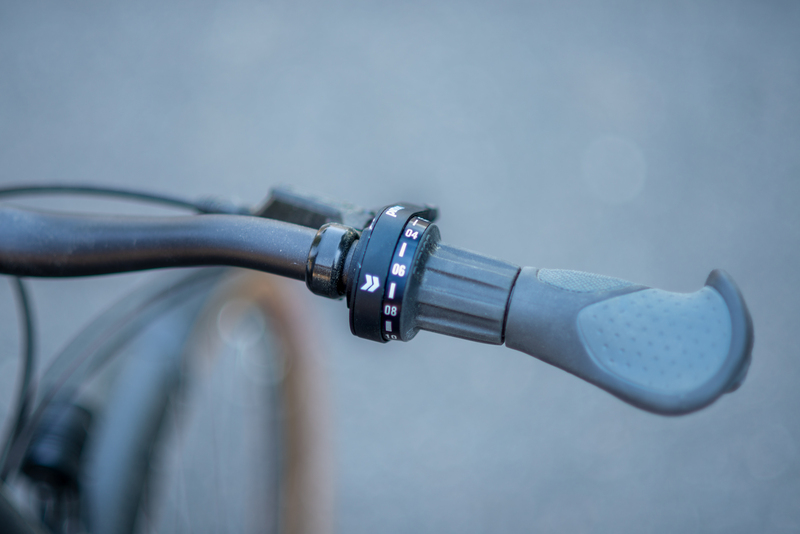 Its 12 speeds provide 600 percent gear range — which I only managed to top out once. With its low stance and upright ride, it has commuting at its core. 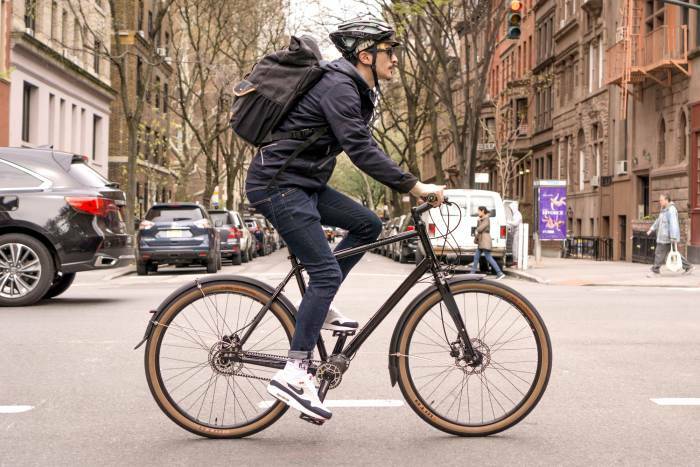 But its gnarly features — belt drive, hydraulic brakes, tubeless-ready tires — hunger for more than perhaps that commuter frame should tackle. The 600 All-Road provides a sturdy, fast, and virtually zero-maintenance ride that’s fun to boot. 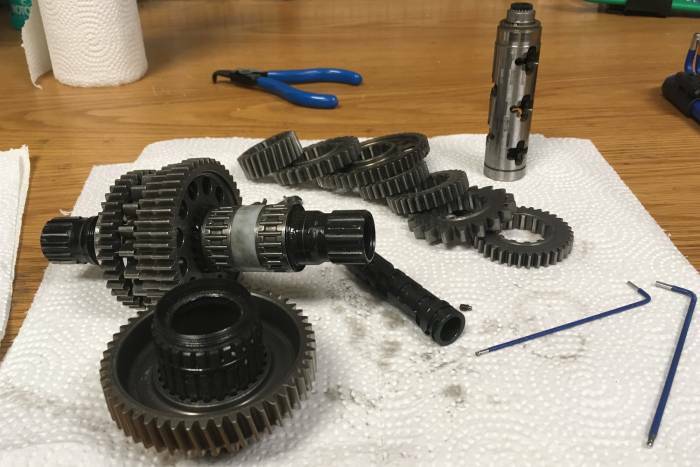 The key selling point for the 600 is the Pinion gearbox. Most riders, especially the casual riding crowd Priority courts, have never ridden one. With the 600 launch, the brand may just change that. 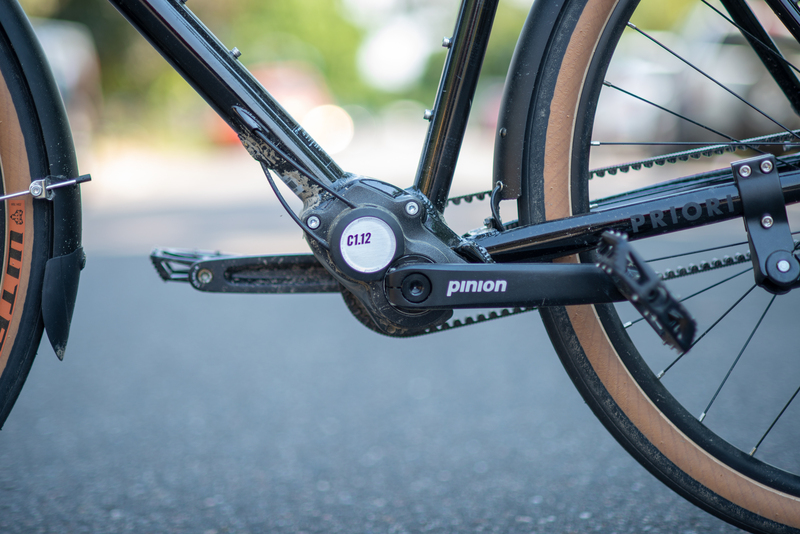 According to Priority, the 600 marks “the largest North American release for Pinion technology.” And that means riders will have to acclimate to the German-engineered tech. 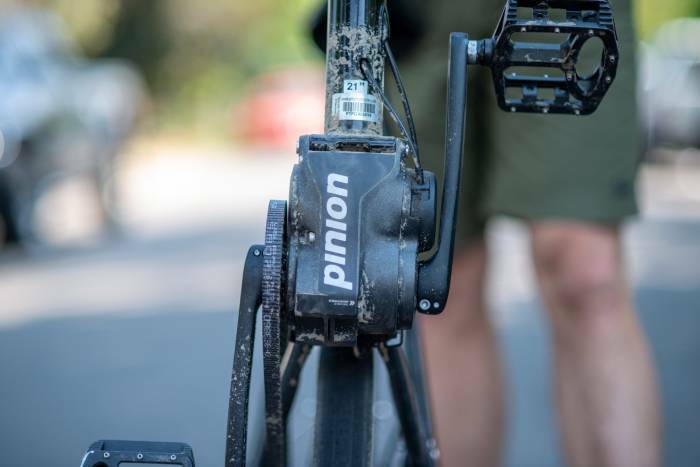 The Pinion gearbox does away with the derailleur — you know, that clunky contraption that pushes your other bike’s chain back and forth? Instead, a magnesium case houses a series of interlocking gears and pawls along a shaft. This sits between the cranks and is where all shifting occurs, so there’s no cassette or gears in the rear. The whole setup is more complex than you need to know or I understand. But in essence, it works more like a car’s transmission than a traditional bike shifter. And that makes sense because it was the brainchild of two German auto engineers 12 years ago. Though it looks basic, riding the 600 All-Road takes a little practice. Fortunately, a few turns around the block are enough to get the hang of the Pinion system. All you need remember is to shift when you’re not pedaling. That’s counter to every derailleur bike. But once you get the hang of it, it’s a bit like driving stick — just downshift when you come to stop, then incrementally shift up with quick breaks between pedal strokes. With enough riding, I found I started to get better at timing shifts to match the dead spot in my pedal stroke, so I didn’t ever stop pedaling. For a commuter, the 600 All-Road is a blast. Its 650b wide 47c tires cushioned street vibrations. And the stock fenders added a classy look and came in handy splashing over puddles. The dynamo-powered headlights and taillights illuminated evening rides through the city and added a measure of safety. But for night rides, I’d still recommend a multifunction aftermarket headlight. I didn’t run the tires tubeless, but the WTB Horizons are tubeless-ready. This, I imagine, would remove one more potential maintenance item — flat tires — from the list. With its rack mounts, wide handlebars, and aforementioned features, the 600 All-Road will make urban commuters very happy. But Priority markets the All-Road as a capable gravel grinder and bikepacking bike as well. To be sure, the belt drive, hydraulic brakes, and a tubeless setup all scream, “Take me off-road!” But the frame simply isn’t a fit. As I mentioned above, those features hunger for more than the frame can tackle — and it’s true. This became evident as I picked up speed on a back road, hopped a curb, and then leaned into a turn. Almost immediately, the pedal scraped the pavement and bucked the bike over. It took me second to piece the mishap together. The Pinion gearbox takes up a good chunk of the frame’s real estate. And it effectively lowers what would be the bike’s bottom bracket height. That puts the crank arms closer to the ground and increases the risk of pedal strike. I took a quick measurement and found that at the bottom of the pedal stroke, the crank arm passes less than 3 inches from the ground. To give an idea, the cranks on my mountain bike never come closer than about 6 inches. Obviously, these are very different bikes. 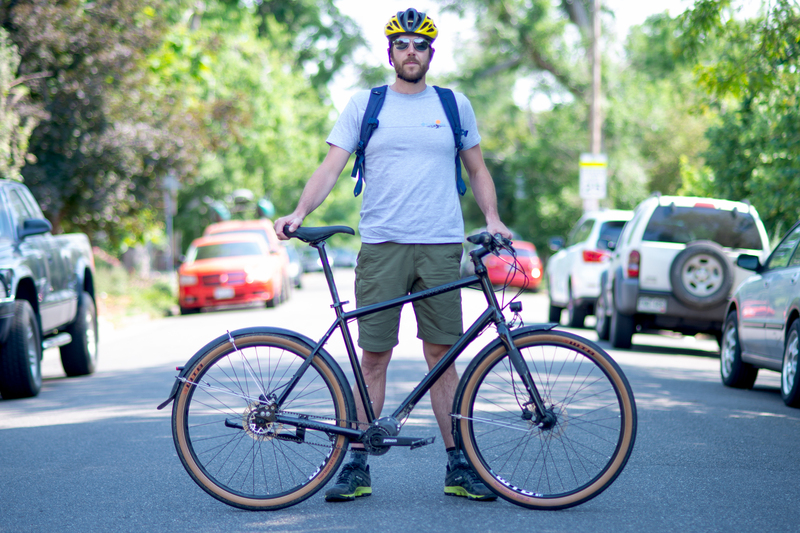 But I wouldn’t choose the 600 All-Road for bikepacking or as a primary gravel grinder. At best, I’d say it can tackle more than pure pavement — so long as you don’t ride it like an off-road bike. 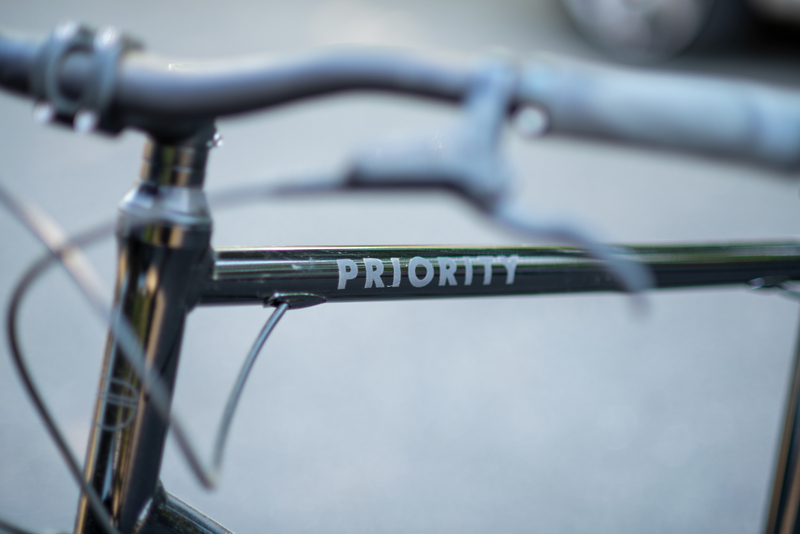 In all, Priority built a great bike. Anyone looking for an everyday bicycle that won’t land them at the mechanic very often should take a look at this. As a bonus, the 600 All-Road offers high-end features that only add to the riding experience. 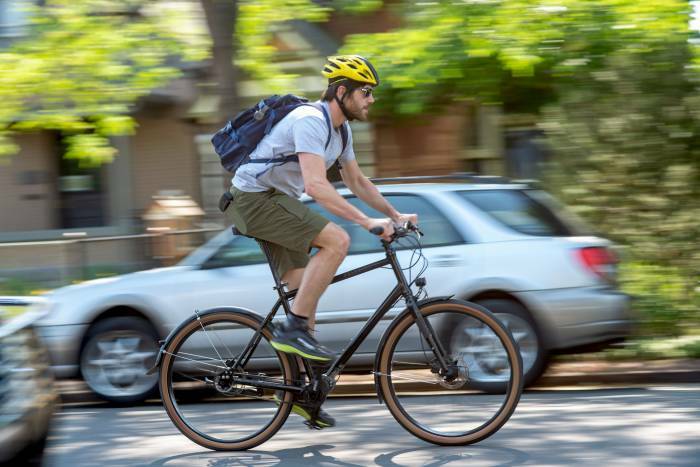 This bike is fun, easy to use, and performs above and beyond most other commuting bikes. All that said, this bike is not cheap. The Priority 600 lists at $2,199. You can get plenty of road or gravel bike (even a nice mountain bike) for that money. But the 600 All-Road promises to offer a more unique experience for less hassle in the long run. And if that’s your priority, it might just be worth a look.